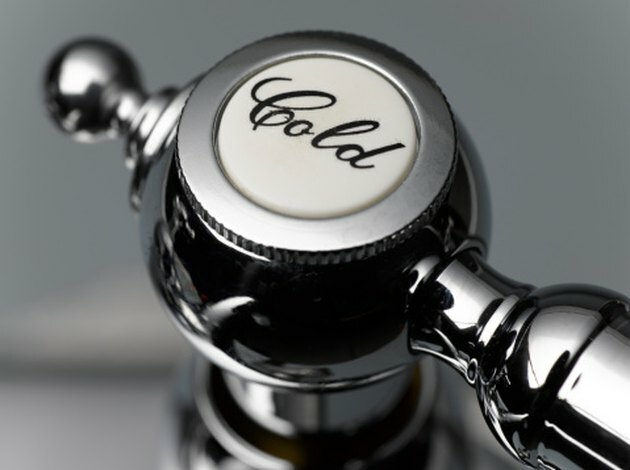 If you have a faucet with lever-style handles, you might encounter a common problem. As the faucet gradually wears out, you have to turn the handle farther to shut off the water, and because the lever eventually becomes obstructed by the wall, the faucet leaks. 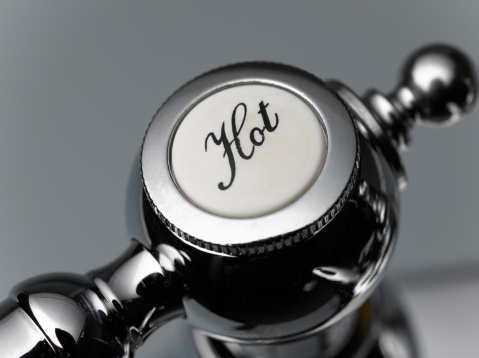 This problem is easily rectified, and you won't need a new faucet, or even a plumber. You will need a few tools, including a screwdriver and a wrench, and you may need to buy a new washer for your faucet. Lever-style faucet handles can get stuck on obstructions. Pry the cap off the top of the handle, if there is one. You can do this by working a slot screwdriver underneath it and forcing it upward. Unscrew the Phillips screw that holds in place the handle and lift off the handle. Note the interlocking notches on the bottom of the handle and on the top of the faucet body. Set the handle back in place so the lever is one or two notches closer to you and farther from the obstruction, and replace the screw. Try turning off the water. If the leaking has stopped, replace the cap. Turn off the water if you can't get the leaking to stop. Turn off the angle stop under the sink. This is the shut-off valve to which the faucet supply hose is connected. Remove the handle again and unscrew the nut that holds the valve stem to the faucet body, using an adjustable wrench. Pull out the stem and turn it over. You will see a washer connected to the bottom with a Phillips screw. Remove the screw and the washer, and take the washer to the hardware store to find a replacement. Screw the new washer in place on the bottom of the valve stem, replace the stem in the faucet body and screw on the retaining nut. Tighten the nut with the wrench. Replace the handle, being sure it is positioned so it won't hit the obstruction, and then snap the cap back on and turn on the water.